Hi, my name is Brock, and I’m a full-time blogger. Here’s the thing: I’ve never really loved the term “blogger” because I don’t think it actually captures what a person like me does. When I picture a blogger, I think of someone keeping an online journal for 17 followers on MySpace circa 1999. The reality is, running a profitable website requires more than just writing. You have to be a content creator, a marketer, an administrative assistant (to yourself), a sales person and so much more. So when I tell people I’m a blogger, I feel like I’m selling myself short. I consider myself to be an entrepreneur and a creator. Writing (or blogging) is just one small part of what I do. 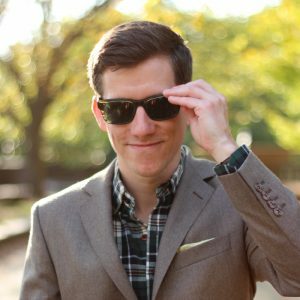 Right now, I make a living from The Modest Man, a website and YouTube channel for shorter men who want to dress better and feel more confident. 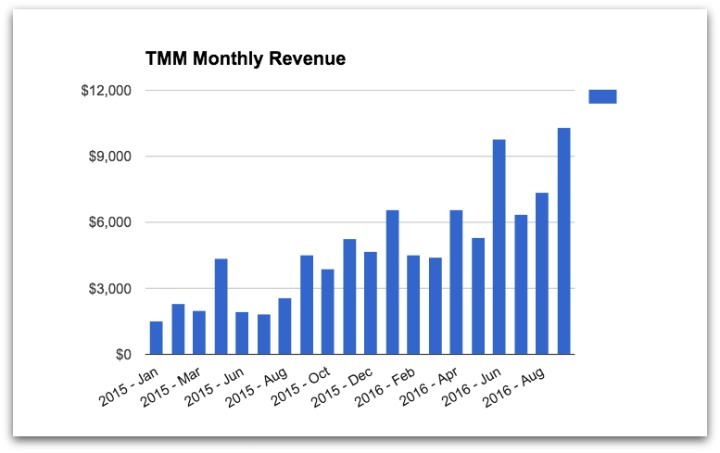 I started The Modest Man (TMM) in 2012 after reading The 4-Hour Workweek and becoming obsessed with passive income, and I finally went “full-time” in mid-2015. I quit my job around the $5k/month mark. Now revenue is about $15k/month. It wasn’t my first site. I built a bunch of small niche sites and got pretty deep into the world of search engine optimization (SEO) and affiliate marketing before starting TMM. It took me a while to realize that I should focus on helping people, and that I should write about what I know (i.e., the struggles of dressing well as a shorter man). Slowly but surely, The Modest Man starting getting traffic and earning revenue. Eventually, it allowed me to quit my corporate job and focus 100% on my own projects. I want to help you go full-time. I learned so much over the past few years, and I want to help other people jumpstart and accelerate their journey from part-time to full-time. Note: Haven’t started yet? Here’s how to start a fashion blog (or any type of blog) in less than 10 minutes. You want to love what you do. And I don’t blame you. We spend a third of our lives working, so why shouldn’t we love it? These days, there’s nothing stopping you from creating an online business that can support you and your family. But you have to work hard and work smart. Mostly, you just have to put in the work. I’m not going to spend much time on branding or social media because, frankly, I don’t think these are directly ties to revenue, and I’m not an expert on either topic. You really want to start a blog but don’t know what it should be about (or how to actually create it). You have a blog but aren’t getting more than 5,000 visitors per month. You have a blog but aren’t making more than $500 per month. You’re making more than $500 per month but not nearly enough to quit your day job. Be sure to subscribe to my newsletter so you don’t miss any updates (it’s free, and I hate spam as much as you do).